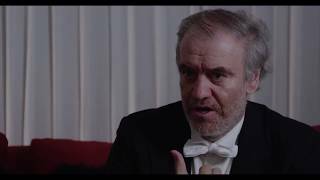 Despite a schedule that would daunt even the busiest politician, Valery Gergiev has been a regular visitor to the Verbier Festival — out of friendship with Martin T:son Engstroem, of course, but also thanks to the firm ties he has formed with the Verbier Festival Orchestra, whose musicians adore him. These last years have seen him conducting extraordinary evenings of orchestral music (an unforgettable account of Shostakovich’s Leningrad Symphony) and opera (Strauss’s Salome in 2010, Wagner’s Die Walküre in 2011, the Verdi Otello in 2013) when not taking part in astonishing encounters of music and image (as with Ravel’s Boléro, which he conducted in front of a screen showing the immortal Maya Plisetskaya in the choreography by Maurice Béjart). As proof of the intimate connection he feels with the Verbier audience, he also appeared at the piano in Mozart’s triple concerto in 2015, alongside Denis Matsuev and Daniil Trifonov, two of his most successful protégés. For all these reasons, the Verbier Festival Orchestra is delighted to welcome Valery Gergiev as its new Music Director starting in 2018. 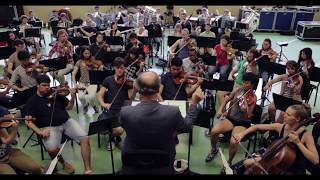 Indefatigable as an orchestra builder and mentor to young artists, Gergiev is a worthy successor to James Levine (2000-08) and Charles Dutoit (2009-17) to carry the Verbier Festival Orchestra to new heights.